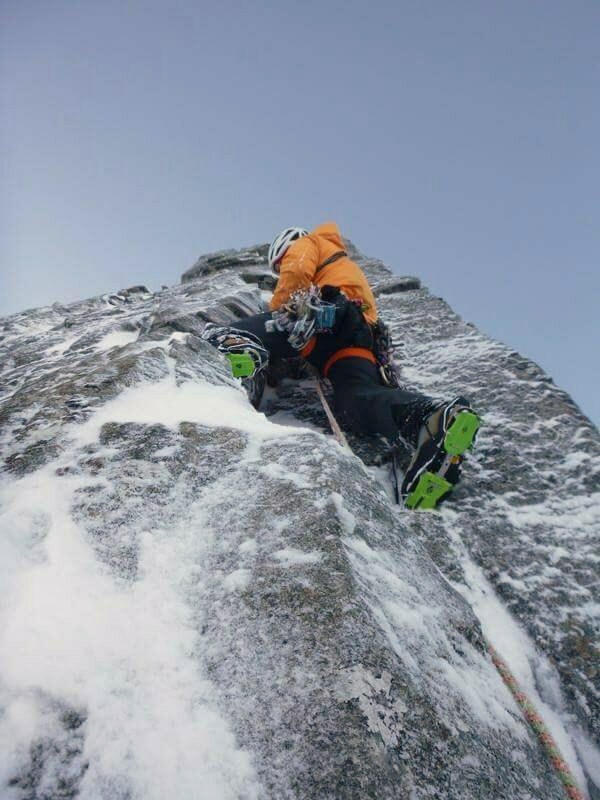 Climbing – its been a while! After a couple of false starts this winter it was great to finally get out the blocks and get a winter route done. 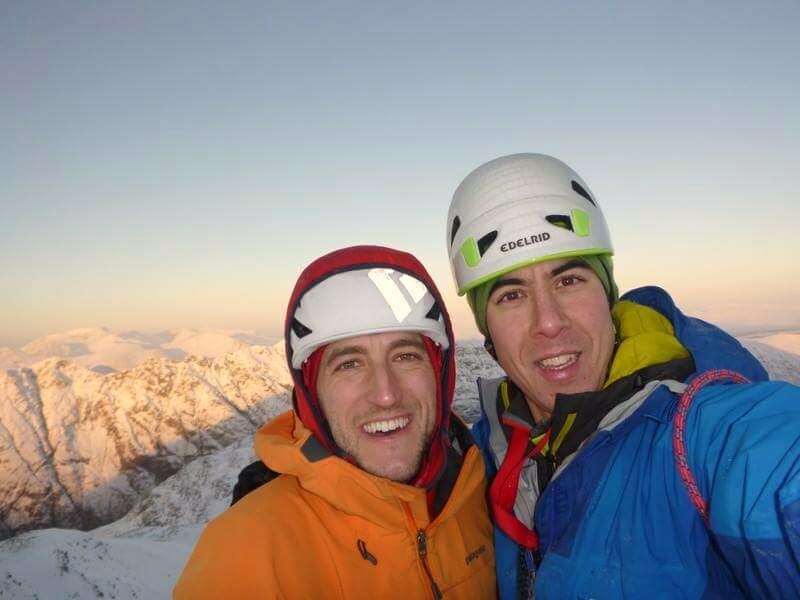 Yesterday Ken and I decided to head to Glencoe and climb Crest Route (V,6) on Stob Coire nan Lochan and it didn’t disappoint. I was here last year with Joe so was aware the route isn’t reliant on frozen turf which made it a good option under the current conditions. 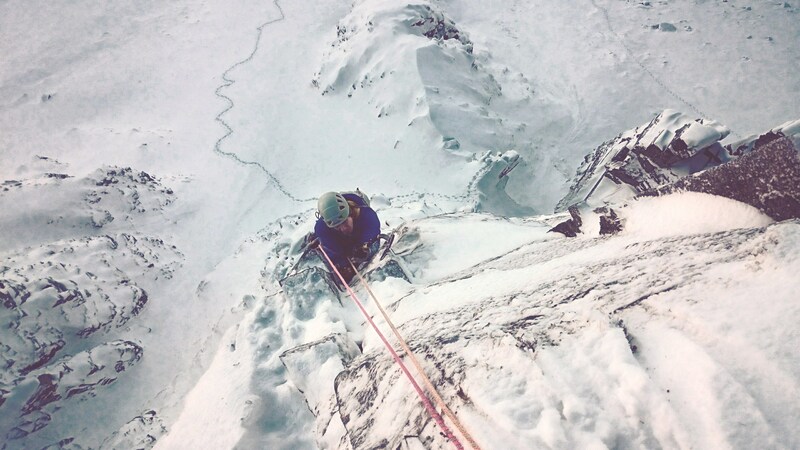 I was relieved when my strength didn’t hinder my performance but disappointed that my mind needed some heavy persuasion to get on with the tough moves on the upper pitch. 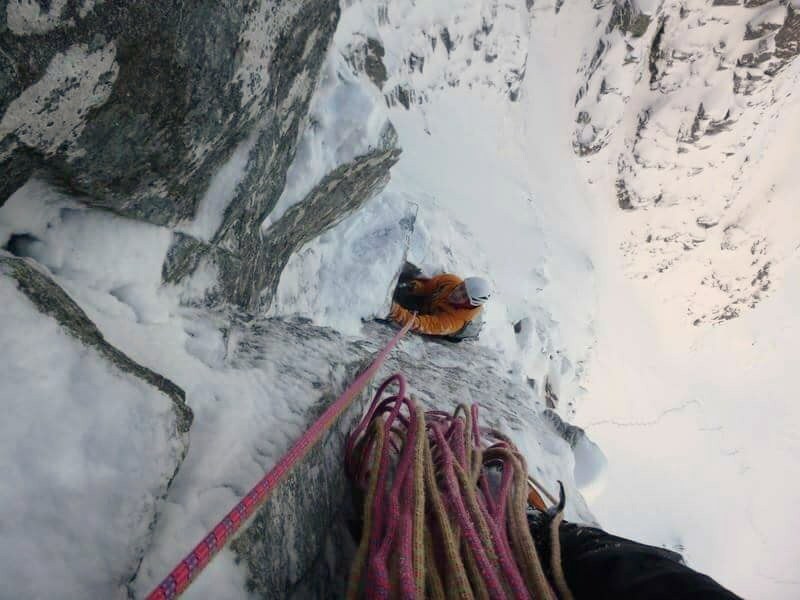 It was obvious that my injury has had some physiological effect on my approach to winter climbing, I think a trip to the climbing wall this week should straighten out the paranoia of an injury relapse. 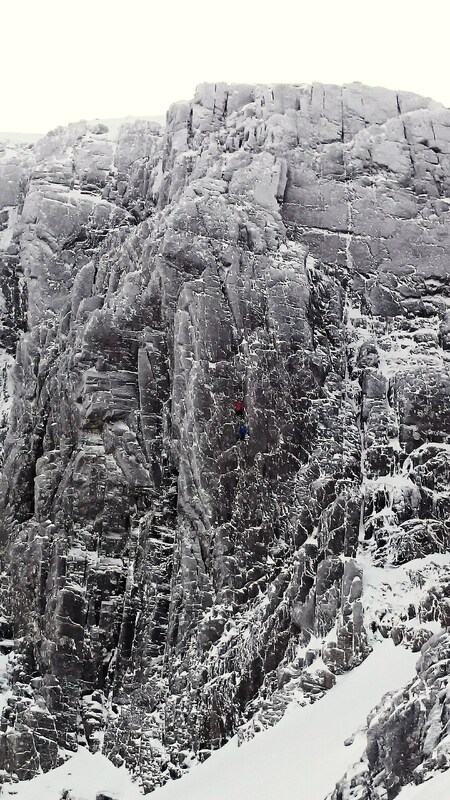 Other teams climbing Central Grooves, Intruder, Scabbard Chimney & Dorsal Arête. 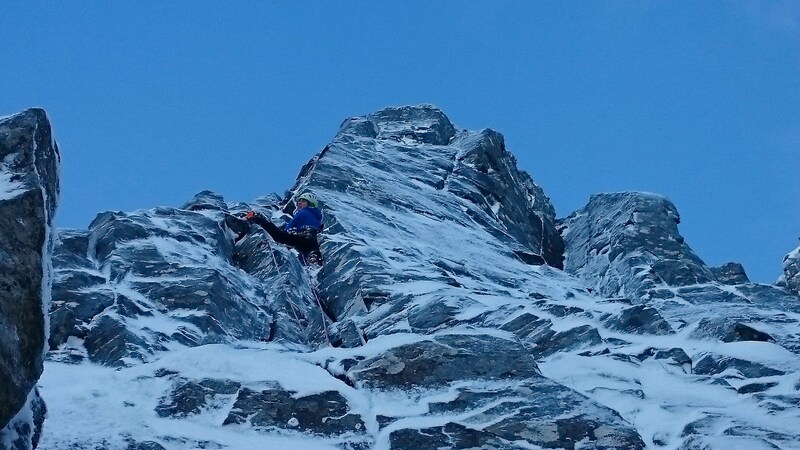 Today I was back out with Ken making a beeline for some mixed action on Ben Nevis. 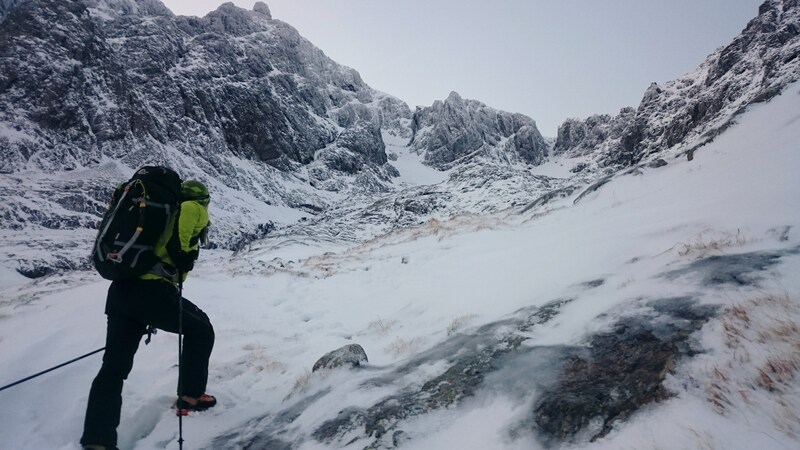 We had to head high as the crags appeared pretty dark lower down and so slogged through some deep snow to get up toward the upper section of Trident Buttress and to the right of No 4 Gully, where we sought after routes less travelled. I had a few back niggles from all the effort to get up high, and with that turned on my heels and listened to my body (for once). I felt disappointed for Ken more than anything but I’ve come to realise that its still early days and I have to look after myself before work starts next week. If your prepared to put the effort in and get up high it looks like conditions may last until midweek.